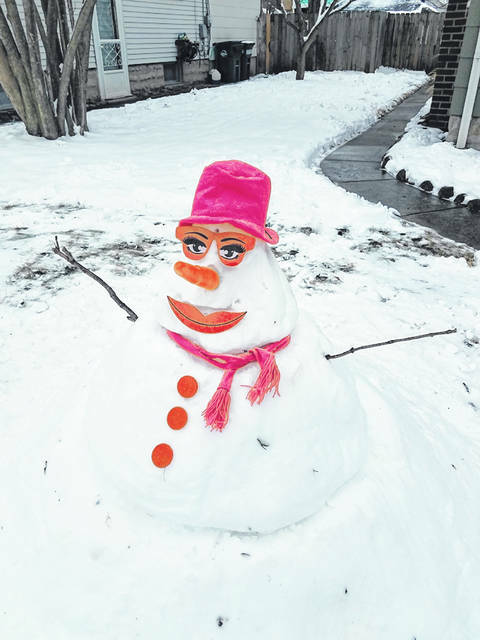 This snow girl was built on Lincoln Place in Urbana after last weekend’s snow. More snow is in the forecast this weekend. With last weekend’s snowfall and another one on the way, city officials encourage city residents to remember snow etiquette, including shoveling sidewalks by your home or business as required by city ordinance. In addition, residents are encouraged to move their cars off the street so city crews can clear the main thoroughfares. According to Debra E. Aksenczuk, of the city office of administration, assisting those unable to clear their sidewalks is an excellent example of kindness and community.